Whether you're visiting De Smet on business, recreation, or for the Laura Ingalls Wilder attractions; we hope you stay with us and let our staff meet all of your expectations. 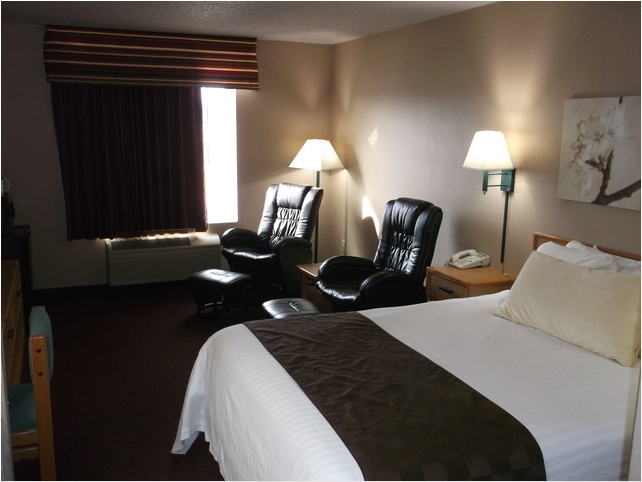 Our clean, comfortable, and affordable lodging options are conveniently located just outside of De Smet, South Dakota, along US Highway 14. We offer 37 guest rooms with flexible sleeping arrangements and incredible amenities like our indoor heated swimming pool. During your stay, we provide our guests with a continental breakfast and each of our non-smoking rooms include a microwave, a mini fridge, WiFi, hair dryers, an iron/ironing board and are wheelchair accessible. Amenities include access to a business center, laundry room, an indoor heated pool and a meeting space for scheduling conferences for up to 120 people. Our hotel is conveniently located just one mile from the Laura Ingalls Wilder museum and other family attractions. During all months except July, a 15% discount is provided for return guests (when booked by phone) and free room upgrades are given on arrival, if available! We also offer excellent business rates.. Copyright © 2017 - 2018 De Smet Super Deluxe Inn & Suites & it's licensors.